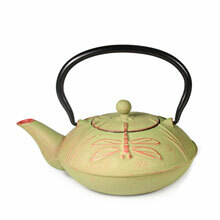 Second in the coveted cast iron teapots lineup is the Adagio Toshima teapot that has a capacity of 24 Oz. This teapot is also fully handmade boasting the cultural wonders of the volcanic Japanese island of Toshima. The cast iron pot comes with a stainless steel infuser that makes steeping your tea as easy as it gets. Adagio has been releasing teapots and kettles for years now with each new model proving to be more impressive than the last. Whether you need simple ceramic kettles or modern glass and electric teapots, Adagio have got you fully covered. Below are the best Adagio teapots and kettles you should add to your kitchenware. Any of the above ten teapots or teakettles will be a joy to have for your tea brewing and drinking sessions as Adagio aim to cover all bases. Whether you are looking to buy an electric kettle or a teapot, whether you want to compare various brands or even when you want to see which model from one specific manufacturer is the best, the TheTeaSupply.com reviews will get you to the most viable conclusions. Check out all the tea product reviews from the TheTeaSupply.com!